As an acclaimed element of this space, we are effectively included in offering an extensive variety of Slitting Rewinding Machines for Paper Industry. The offered items are acknowledged for their ideal evaluation quality and precise slitting usefulness. A progression of value tests is directed on offered items by talented experts at each period of preparing. 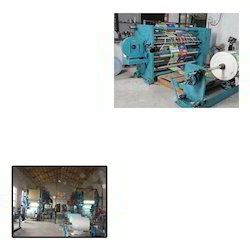 Looking for Slitting Rewinding Machines for Paper Industry ?